In our Drop shipping guide to selling outside of Australia we explore how the global village has changed the entire environment for eCommerce. 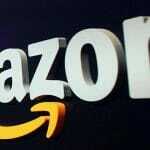 Now, Amazon and Alibaba are selling to Australian consumers. Is it time for you to think about selling outside of Australia? 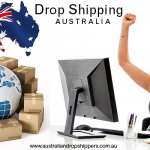 Drop shipping makes it easier for you to send merchandise within a couple of days to any destination around the world. If the Americans and Chinese are selling to Australians, then Australians might need to do the same to remain competitive in the global market. There are many benefits to selling outside of Australia. The Harvard Business Review included the following statement: “Business leaders are scrambling to adjust to a world few imagined possible just a year ago. The myth of a borderless world has come crashing down. Traditional pillars of open markets — the United States and the UK — are wobbling, and China is positioning itself as globalization’s staunchest defender.” The reality is that the modern world has many borderless features due to the World Wide Web. Agile online stores must strike a fair balance between border and borderless eCommerce. 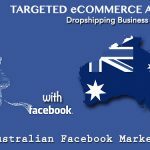 Thankfully, those who use dropshippers already have an advantage over many local Australian only businesses. You understand the benefits of international trade, especially with respect to lowering overhead, inventory and shipping costs. For many exporters, shipping costs are a key problem; but, you already have this covered. But, why should you even consider new markets? Usually, most successful brands will want to continue to grow. Their overhead will rise and they need to find new sources of revenue. Once the local market has become saturated, you might need to think outside the box. We will discuss the vast benefits of selling outside of Australia. Nowadays, a Chinese housewife can click on her smart phone and view merchandise from China, Japan, the United States and Australia. Technology has removed national borders. People can share their favourite videos on Social Media. Already, American and Chinese global Internet brands have invaded Australia. This is likely to lower the sales for domestic Australian firms. How can you make up for lost sales? The wise online store owner might consider trying to add customers from other countries. The world has 7,700,000,000 humans. There are only 24,000,000 of the world’s citizens living in Australia. Therefore, you can broaden your customer market 320x by selling overseas. That is a powerful option. Surely, there are numerous consumers who might be interested in your merchandise. Online wholesalers already have websites, so you already have the tools to reach new consumers overseas. As you know, every year will bring new costs – government taxes, higher payroll, rent and costs for buying supplies. Every business needs to continually develop new ways to grow. Customer Centricity: To be #1, you need to set the standard. Amazon does not focus on staying ahead of its competitors; it focuses on staying “one step ahead of its customers.” What does your customer want today? Then, once you satisfy that need – What does your customer want tomorrow? This Global Sourcing Directory is able to identify trends, so you can source the hottest selling products as they are increasing in popularity. Innovation: “True innovation is about bringing value to your customers.” You can only grow by offering a true value proposition – your products must improve the life of your customers. Corporate Agility: Stay ahead of the curve. The most successful businesses will take a chance before others do. By the time the competition responds, the first mover will already have significant market share. Continuous Optimization: The best brands are never satisfied. Have you seen the latest smart phones? They offer better features, more storage and higher definition cameras than previous versions. You need to continue to improve, so your business operations will be optimized. Once you succeed in Australia, you might reach peak market share. At the same time, you might still believe in your brand, knowing that foreigners might want to buy your products. New markets allow you to optimize your efforts and become more efficient. You might have certain fixed overhead costs. By expanding to new markets, you can distribute those fixed costs over more customers. The Global Ecommerce Playbook predicts an increase of 277% in global eCommerce. Growing global eCommerce markets and increased efficiency might enable you to lower your prices. If you lower your prices, then you can increase market share. Therefore, there is a Domino Effect to becoming more efficient, optimized and expanding. Success in one area can lead to success in another. Successful businesses never settle. The Internet allows you to reach more people anywhere in the world. So, which market would be the most profitable? Conducting country specific market research will help you find the right destination for expansion. Generally, there must be a preponderance of beneficial characteristics in the aforementioned before you plan on selling in a new market. There must be an untapped potential market for consumers buying your products regularly, which will also pay for all of your overhead costs. This is the only way that it would be feasible for you to justify expanding overseas. Why do consumers buy your products as opposed to others? Make a list of the Top 10 attributes. Be honest. Then, identify whether these benefits are universal or specific to Australian consumers. For example, is your product only useful due to Australia weather factors? Or, could it be used by people in other countries? What consumer needs does your product satisfy? Do people in China or America also have those same needs? For example, selling holiday merchandise in another country is probably not beneficial if that country doesn’t celebrate that holiday. You need to identify the value proposition for your consumer. Determine reasons why someone in a foreign country would want to buy your product. In which market does your product fit best? Try to break down your market into very specific geographical boundaries. This makes it easier to research the demographics. You might want to start small. Instead of marketing to all of China, you might choose one region. You will find a variety of regional variations. What are the characteristics of the competition in this geographical area? Would you be competing mostly against large or small companies? Is there a lot of competition or are their few competing brands? There is a trade-off in either circumstance. With high competition, there is usually high market awareness, so brands compete based on price. Due to high market awareness, you don’t need to spend as much money on marketing and advertising. With low market awareness, you can compete based on marketing, customer service and other advantages. Create a superior User Experience (UX). This UX has become a defining factor for why Web surfers prefer one website over another. How big is the market for your product in this specific geographical region? To calculate market size, take the number of similar products sold in the geographical area for one year times the unit price. This gives you the highest Return on Investment (ROI) potential. This market potential will determine if you can grow fast enough to recover your initial investment costs. Now, given the total market potential, what market share can you reasonably hope to gain? You might want to develop a 5-year overseas marketing strategy. The most successful global brands think long-term. How much of your product is consumed annually by the average customer in the target market? How many items are purchased each day by your consumer? You will need to market differently based on whether one or several items are purchased at one time. Are there expensive accessories that would provide you with upselling opportunities? Once you get started, you will want to find ways to increase your profit margins. Many dropshipping apps can help you increase sales. What is the average selling price for your product in said country? This will give you a general idea of whether you can turn a profit. Compare your own selling price in Australia to see if you are at least in the ballpark. What is the Cost of Living in said country? There are many valuable resources for comparing average expenses. The Big Mac Index has become very popular. It takes a similar product and see what price is charged in different countries. Once you determine that selling outside of Australia might be profitable, you would need to plan your brand positioning marketing strategy. This can be tricky because 9 out of 10 times, a domestic marketing plan is different than a foreign marketing plan. That is due to language, culture and economic differences. Thus, you will need to take your product strengths and try to fit them into the mindset of a foreign consumer. You must determine which strengths you want to defend and which are superfluous. How would a foreign customer view your product? Fill an essential market niche to succeed with brand positioning. No woman wants to be caught wearing the same dress as another. There is a key human instinct for being unique. People want to feel special. Outside of Australia, some very common gear might be seen as exceptional. You can already see this with American NBA jerseys or Premier League merchandise. You might be able to charge a premium for Australian rugby jerseys outside of the country. Take advantage of the scarcity of your product in other parts of the world. Modern technology has increased connectivity. Social Media has blurred certain cultural differences. Nowadays, there are lowered barriers to entry for selling overseas. Consumers might not even know (or care) where information, data or merchandise is from. If someone likes your merchandise, he will want to purchase it; no matter where your store is located. Today, eCommerce and mCommerce are borderless. Depending on the amount of merchandise exported, you might want to hire some boots on the ground in the country that you are exporting too. These foreign agents could include distributors, accountants, lawyers and banks. They might be able to ensure that you are in compliance with local regulations. In fact, an advanced corporate arrangement will involve a wholesaler providing a distribution monopoly to one specific entity in exchange for that distributor taking care of local matters in said country. You could determine which issues are handled by each party. They will profit from their monopoly, while saving you time and expense on the back office issues. You can control marketing, but it is usually wise to develop different marketing campaigns for each region. The tastes of consumers might change from town to town, let alone on the other side of the world. Local marketers can help you avoid language snafus. Simply take a gander at your grocery aisle. You might see very similar candy concepts, but the packaging and flavour is slightly different from nation to nation. 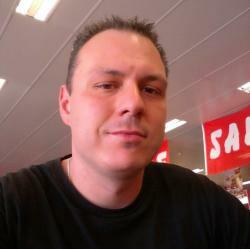 Find a local marketing professional, who knows what will sell in his country. Some foreign opportunities were initiated by foreign distributors. They have the local skills and knew that a certain product would sell in their country. These distributors have propositioned companies asking to sell their merchandise in their country. Distribution arrangements can be a win-win for all parties. 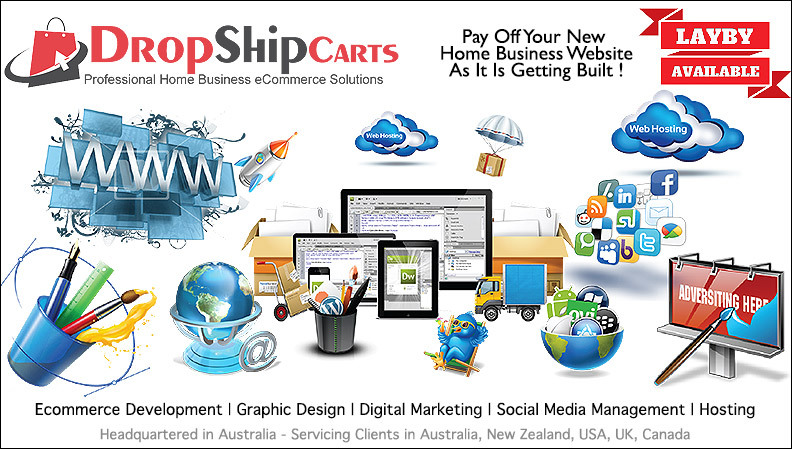 Wise dropshipping store owners know how to hire professionals to complete very specific tasks. You can’t do it all yourself. You don’t need to reinvent the wheel. That is true for selling overseas too. Many websites have different levels of language difficulty. If you are a native speaker, you can tell when someone else’s English was learned as a second language. Each language has clichés, patois and subtle word combinations that have become habitual and ingrained. Anyone can type in a sentence on Google Translate and get some output. Unfortunately, that doesn’t mean that the results are intelligible. The same can be true for marketing in foreign countries. You want to communicate your message as effectively as possible. Therefore, you might consider hiring a native speaker to improve your communication with another nation. You don’t want to make a marketing error that will damage your business reputation due to language misunderstandings. Successful marketing messages not only state something, but also lead to an emotional response in the consumer. Therefore, you need to have very specific, impactful language that is also effective. The terminology has to be just right. It is easy to add a dropshipping app for currency conversion. This plug-in will do all of the calculations automatically. Your online store can easily tap into the latest Forex rates. Fortunately, there is a great deal of information available today. 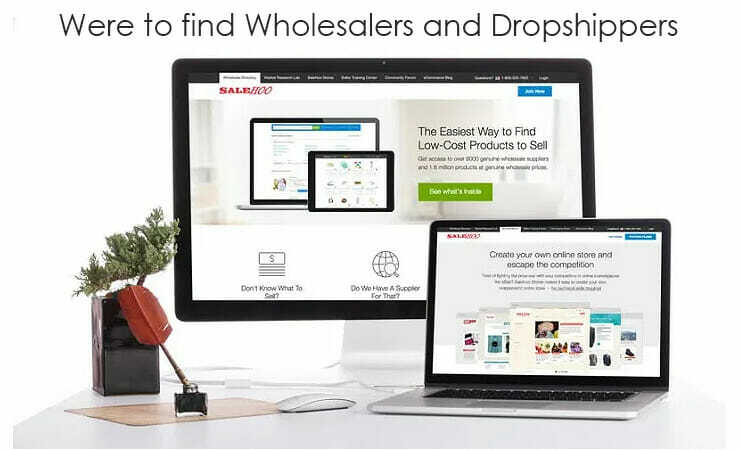 This has made it easier for online wholesalers to reach a variety of customer groups. Depending on your budget, you might be interested in 1. Free or 2. Paid Market Search Options. We will give you a brief listing of both. Tommy Gibbons, Director of Marketing at Piper admitted that “Shopify Plus allows us to easily see the location of our sales so we can quickly begin to advertise in parts of the world where we see the best product-market fit.” There are plenty of apps that can assist with global market research. Let the app do the heavy lifting. If you want a quick snapshot, then the best path might be to simply search the largest eTailers in the world: Amazon, eBay and Ali Baba. Look through their database for your product category. Then, see what competitors are selling, for what price and the popularity of the item. Each of these global powerhouses is improving their data categorization. For example, on Amazon, you can scroll down a specific product page to the “Product Details.” You will see “Amazon Best Sellers Rank” (i.e. the Wilson Evolution Indoor Basketball is #296 in Sports & Outdoors, #2 in Basketballs and #2 in Sports Fan Basketballs.) This can save you a lot of time. There are many companies that will sell you market research reports. You might have your favorite for Australia, but we have found Roy Morgan to be invaluable. They can break down market sectors, providing very specific details by city. Tell them what you want to know and they will provide solid market research reports. Australia has a historical synergy with England. We found the United Kingdom listing of RetailAtOz to be useful for finding UK market research firms. Another good tool for a market risk assessment is the Economist Intelligence Unit (EIU). EIU can provide you with Business Intelligence (BI) on different countries. This data includes cost of living, industry analyses and other reports to help you find the best markets for your product. The United States is the sole superpower with a wealthy, well-educated, eCommerce-savvy population. One of the most well-respected American market research firms is Nielsen. They have set up reviewing systems in consumer’s homes, so they can list all of the products purchased. The Nielsen Rating is the standard for determining American media popularity. The Chinese have a burgeoning middle class with more disposable income. Many businesses have found it beneficial to get local help when selling in China. The Esomar Directory provides a good list of Chinese market research firms. Note that there might dramatic cultural differences between coastal and mainland China. Our next door neighbor is just a hop, skip and jump away. We found that you could get a good New Zealand cultural, political and economic assessment from MarketResearchReports.com – this might be useful for other countries too; just search by country to see what is available. The simple process of researching places to expand to overseas can be beneficial for your entire enterprise. It forces you to honestly assess where you are today and where you want to go tomorrow. You can streamline processes to make them more efficient. If you are not growing your business, you might become stagnant. Eventually, stagnant online stores become irrelevant. And as you know, being irrelevant online could be disastrous. That is because you become hidden on the vast World Wide Web. Keyword searches will not lead to your website being listed prominently. Google requires your website to be relevant to be listed. Selling outside of Australia can keep you agile. You can grow your business. Plus, it is a good response to American and Chinese brands expanding into Australia. Let’s be honest – Amazon and Ali Baba want to steal market share from Australian eTailers. If they do, then you need to find a way to replace that lost revenue. Selling outside of Australia is the way to not only replace this revenue, but to increase your total revenue. Successful wholesalers construct a wise business strategy for growth. Once you dominate Australia, you can take your expertise overseas. Our country has a great Internet infrastructure, which allows us to reach many people online. Carefully assess different geographical areas to determine which might be the most lucrative. Unlike the global brands, you need to pick-and-choose where you sell. Amazon simply wants to sell everywhere. Determine if it makes rational sense for you to sell in another country. We listed 8 factors for assessing foreign market profitability – you might want to ensure that 6 or 7 of the criteria are positive before making the plunge. 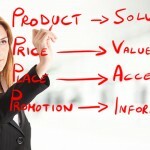 Do the math and determine how much of your product you would need to sell at what price to make a profit. Successful businesses sell what people want to buy. 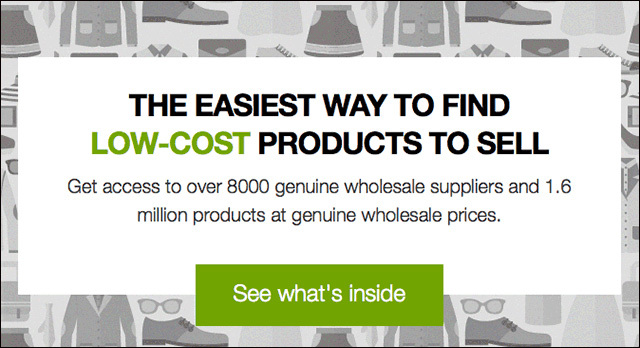 Successful online wholesalers anticipate their customer’s needs for products tomorrow. It always takes time to make a dramatic change; if you don’t have a plan to grow your business, it might become stagnant and irrelevant. Selling outside of Australia is a great option for expansion. If it does not make sense based on the figures, then don’t do it. But, if you can imagine a way to make healthy profits, then it could be a great way to grow your online business. 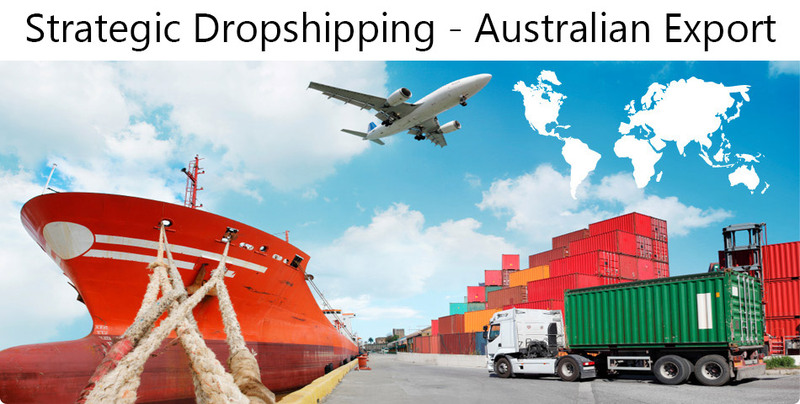 If you have enjoyed reading our Drop shipping guide to selling outside of Australia and have any other questions relating to local or international dropship business setup, feel free to contact Australian Dropshippers through our contact form.